The City of Worcester will host a Volunteer Recognition event on Tuesday, April 9 at 5:30 p.m. in the Levi Lincoln Chamber at City Hall. The Housing Development Division will host a Health & Housing Block Party & Fair in the Union Hill neighborhood on April 6 from 12-3 p.m. The Mayor and City Manager have announced the creation of a Complete Count Committee for Census 2020. A campaign kickoff event for Census 2020 will be held April 4. 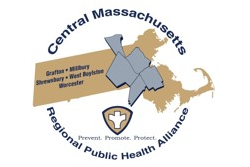 The Central MA Regional Public Health Alliance is a coalition of seven municipalities: Towns of Grafton, Holden, Leicester, Millbury, Shrewsbury, West Boylston, and the City of Worcester, working cooperatively to create and sustain a viable, cost-effective and labor-efficient regional public health district. 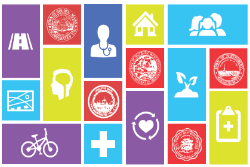 The goal of the Community Health Improvement Plan (CHIP) is to provide direction to the health department, health coalitions, hospitals, and other public health partners to best improve health in the Greater Worcester community. The purpose of the Greater Worcester Regional Youth Health Survey (RYHS) is to learn about youth health. The results are a summary of key findings from Worcester public high schools alone. A total of 5,174 Worcester high school students were surveyed. 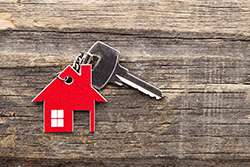 The City Manager's Task Force for Sustaining Housing First Solutions will undertake an in-depth examination of Worcester's community needs and resources in addressing adult chronic homelessness from March to June 2018. The opiate epidemic has affected individuals of all ages and backgrounds. Learn more about services and help for youths and families with substance use disorders. MMS President Dr. Alain A. Chaoui joined Dr. Mattie Castiel, Commissioner of Health and Human Services for the City of Worcester, to film a short PSA that validated the fact that opioid use disorder is a disease.